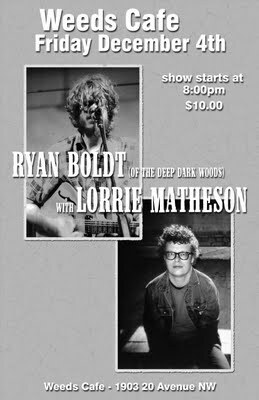 After a busy year of touring North America with his band, Ryan is taking some time away to play some solo shows, and I’m lucky enough to join him for this show. This is shaping up to be an awesome night! Show at 8 PM at Weeds Cafe, $10 cover. All ages show, full beverage menu and food available. Get there early to get a good seat!